"The staff at Sheehan Consulting is very helpful and friendly. The turn around for taxes is very fast." "My family uses Sheehan Consulting for our tax preparation and we are always satisfied and would recommend them to anyone." "Helpful, knowledgeable. Always willing to answer questions." "Keep up the good work Jess and staff"
"The staff at Sheehan Consulting is professional and always available to answer all of our accounting questions and correct any problems that may arise in QuickBooks. Sheehan Consulting has saved us thousands of dollars each year by teaching us how to do our own monthly accounting and reconcilations. Tax preparation and filing has become a painless process! So glad we have found Joe and Sheehan Consulting for our personal and business needs!" 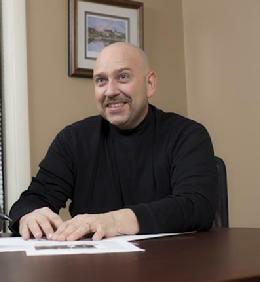 "Joe takes his time to review your tax situation and always alerts you to new laws relevant to your taxes. I have recommended family and friends to Sheehan, and will continue to do so." "Joe is my lifeline! Before working with Joe, I had worked with three other accountants who were totally money-oriented, including one who tried to lock me into a monthly contract. As a woman with a small business, I never felt safe and believed I was being taken advantage of. When I met Joe 6 years ago, I immediately felt comfortable with him. He's a great listener! He quickly understood my needs and offered guidance. Joe is so honest and has saved me so much money. He continues to teach me what to look for and recommend minor changes to enhance my business. He truly is my lifeline!"